Because Diane’s books are funny, they are great for a month when you want to lighten up. They are the perfect follow-up to the month that you read Possessions or A Suitable Boy or any long book without pictures. If God wanted book clubs to read serious books every single month, he wouldn’t have created Erma Bombeck or smiling. They’re short. This is good news for your club members who are queen procrastinators. At 250 pages with huge type, Home Sweet Homes can be read on the toilet. 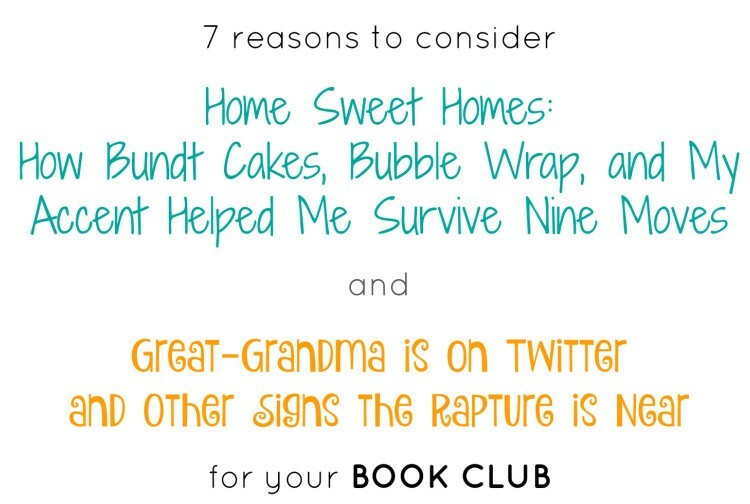 And Great-Grandma Is on Twitter can be skimmed in line at the liquor store and at traffic lights on your way to book club. If you haven’t read the whole thing, when questioned bring up the time Diane accidentally gave a margarita to her toddler and marveled 22 years later that he’s super smart and has all of his faculties. She writes a lot about that. It’s a great way to get revenge on the club member who made you read Don Quixote. There is no movie, leaving you free to make up imaginary big-screen versions of Diane’s books and cast yourself as played by Gwyneth Paltrow. (But not Halle Berry. She plays Diane. Also Tina Fey is taken by Diane’s friend The Other Diane.) This can be a fun drinking game at book club. Because skits. Your group can relate. Diane’s books are full of stories about growing up in the ‘60s, being an awkward teenager in the ‘70s, making bad hair fashion choices in the ‘80s, stay-at-home parenting, empty nest, struggling with technology, moving all over the country, and confronting the anti-aging section of Sephora. There’s an OMG-That-Happened-To-Me in there for everyone. Diane is available to join in your book club discussion by phone, Skype, or in person whenever possible. If you live somewhere neat, she could very well pack a bag and be there by wine o’clock. She’s not afraid to fly anymore. If your club orders 10 or more of Diane’s books directly through her, she’ll give you a 30 percent discount. 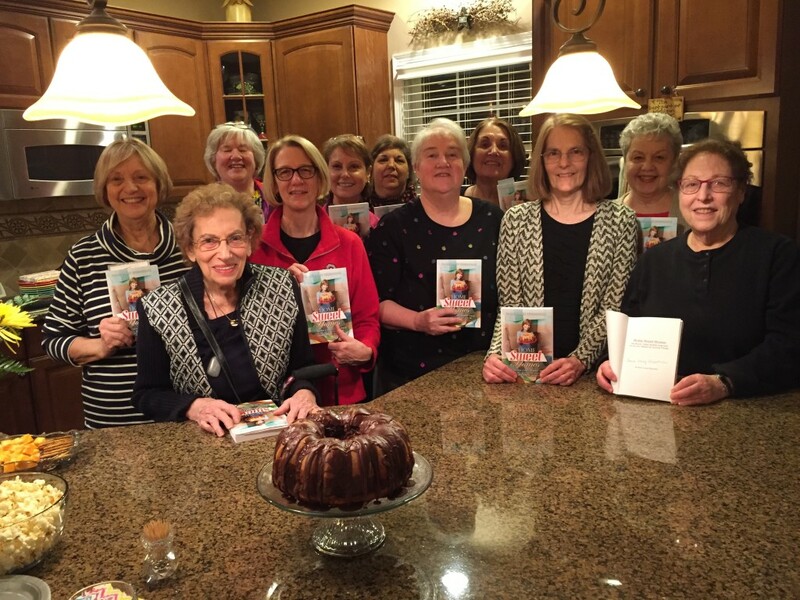 Because book clubs are awesome. Order your book club copies now!